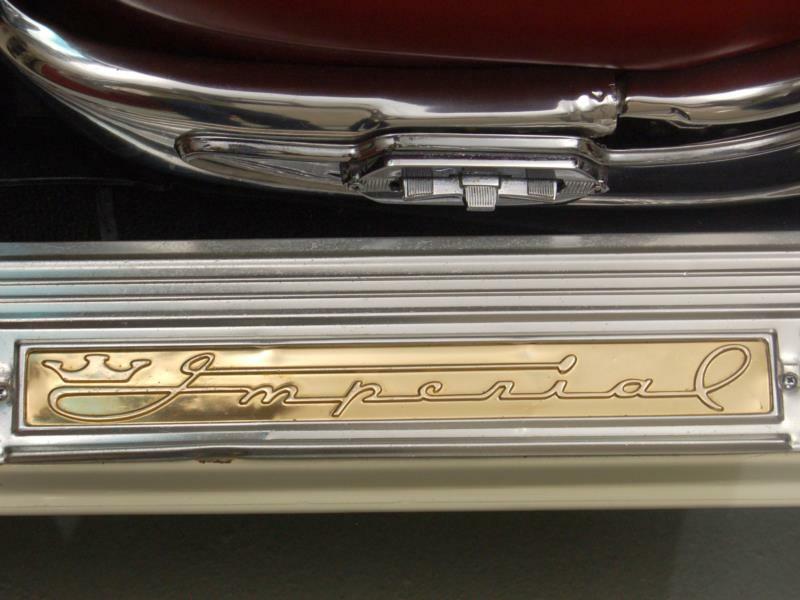 The all-new 1957 Imperial (a make of its own since 1955, not just a Chrysler series name) featured an industry first, one which we can all enjoy today in any car. 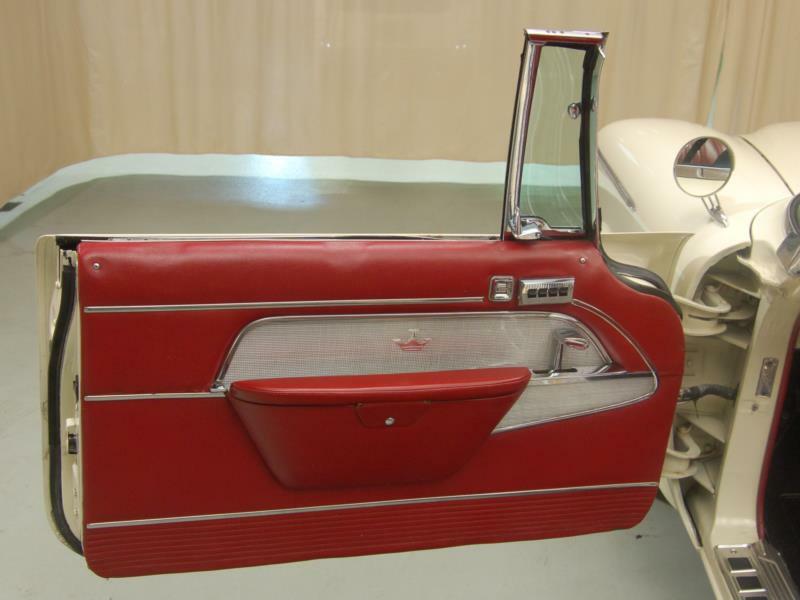 This was curved side-glass rather than straight. 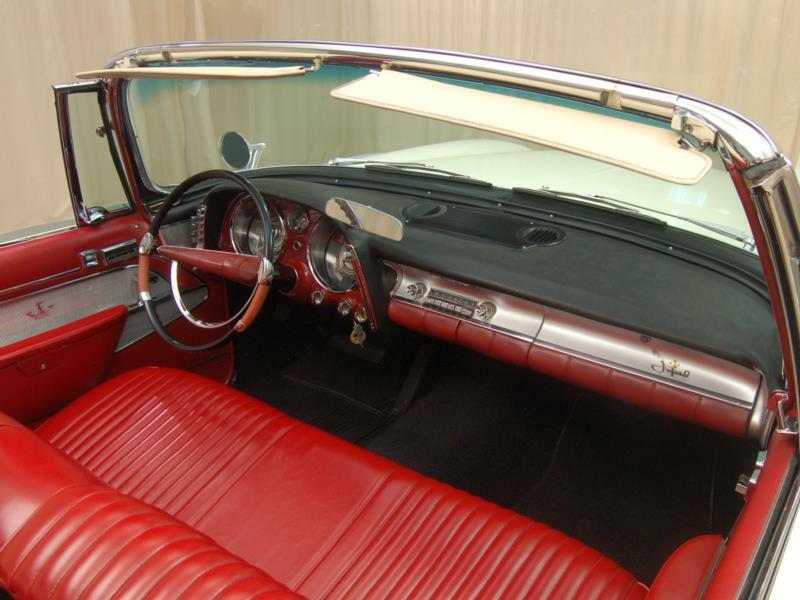 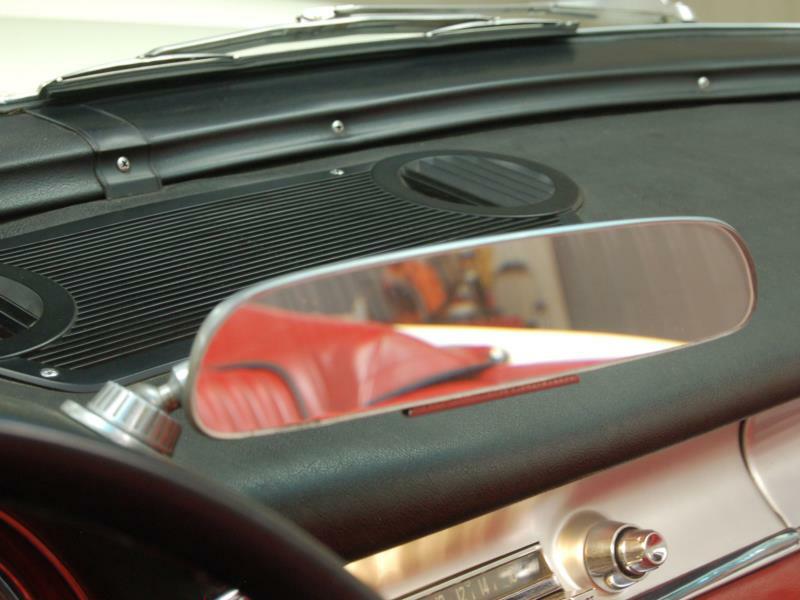 The windshield was a compound curve single piece that was 48 percent larger than in 1956, with all glass developed under Chrysler engineer Les Parr with supplier PPG. 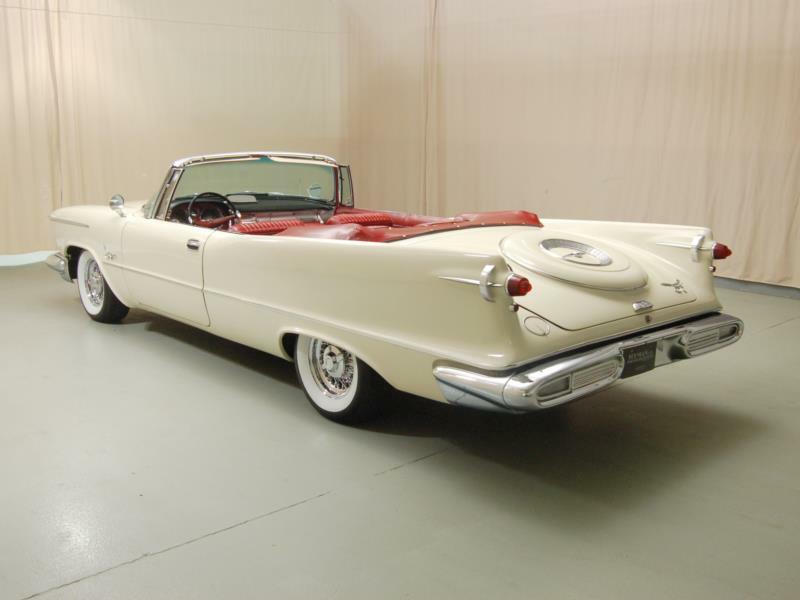 For the first time, the cars were entirely different from lesser Chrysler products, necessitating an entirely separate body, assembly, body trim and paint line at the Kercheval Body and Jefferson Assembly plants in Detroit. 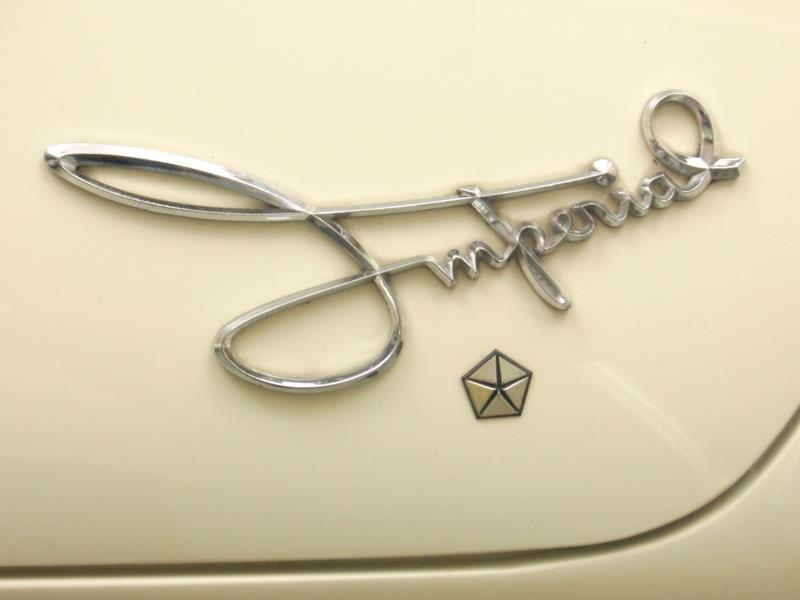 A separate line also gave Imperial a chance to have a slower assembly rate for improved quality as well as extra quality checks. 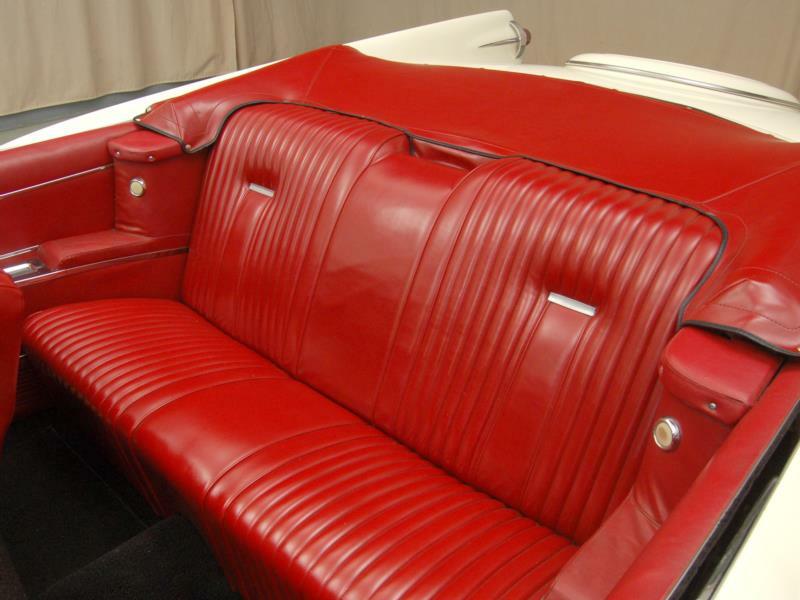 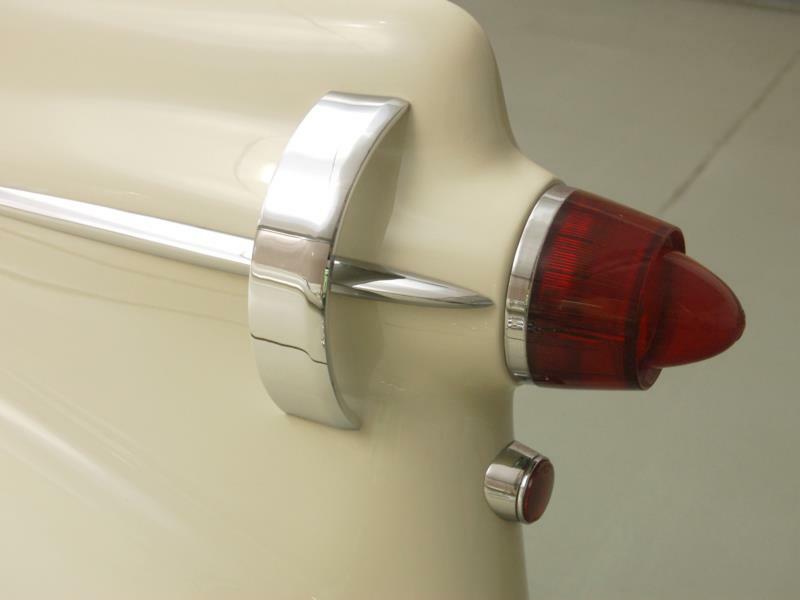 In terms of styling, the car was everything that head Chrysler designer Virgil Exner could hope for. 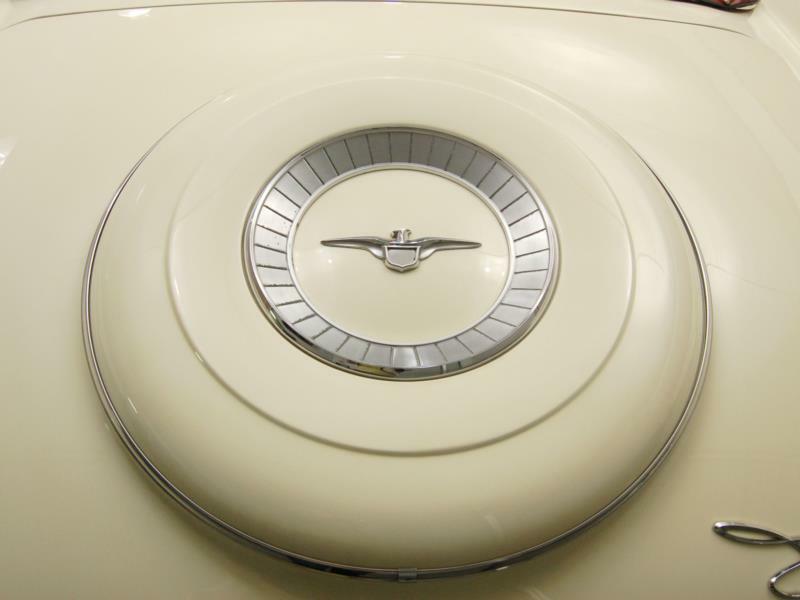 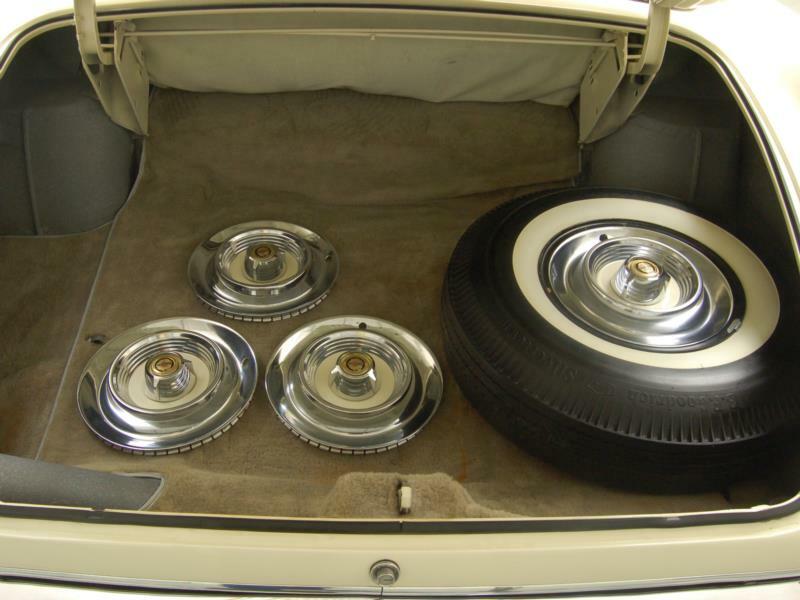 The fins soared, the decklid swept gracefully downward towards the massive rear bumper and two-thirds of buyers opted for the “Flight-Sweep” deck lid, which included a stamped spare tire impression complete with wheel cover. 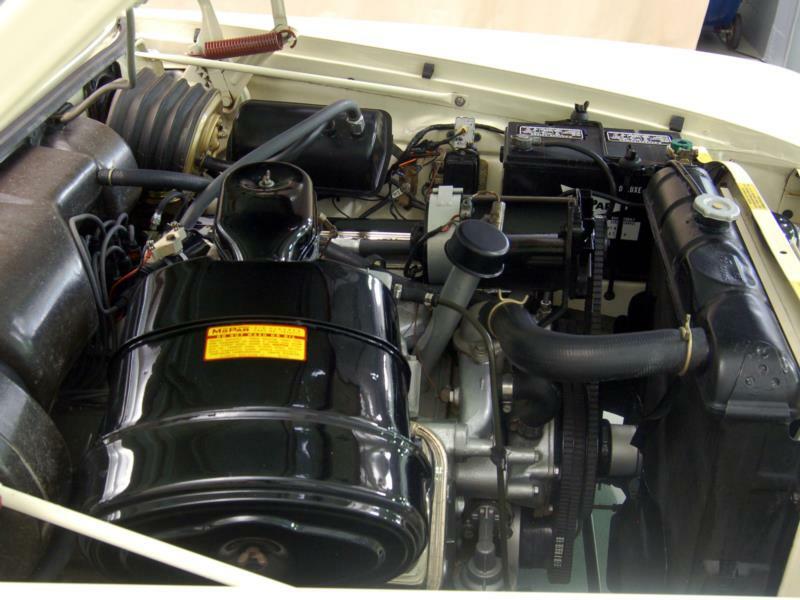 Under the skin, the massive and powerful Chrysler “Hemi” was both bored and stroked out to 392 cubic inches, and was capable of producing 325 hp. 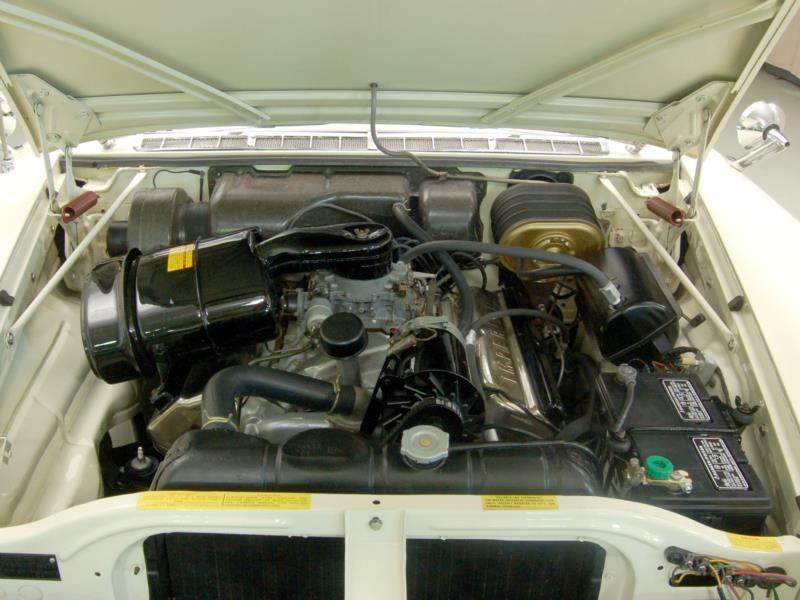 It also had enough torque to hoist the nearly 5,000-pound car to 60 mph in under 9.5 seconds and the quarter mile in just 17 seconds at over 80 mph. 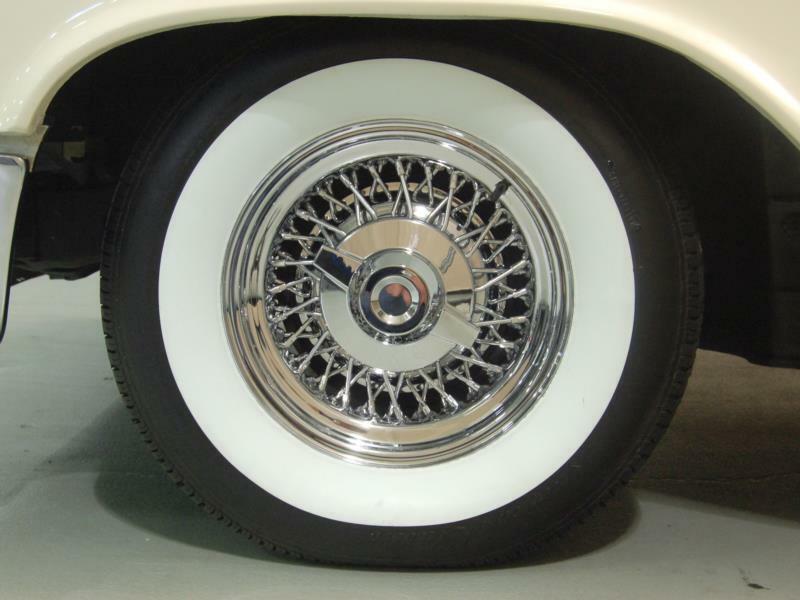 The suspension was the most advanced in the industry, with new torsion bars in front and exceptionally well-engineered Hotchkiss drive with semi-eliptic springs at the rear, as well as the famous Torqueflight three-speed automatic transmission that debuted late in 1956. 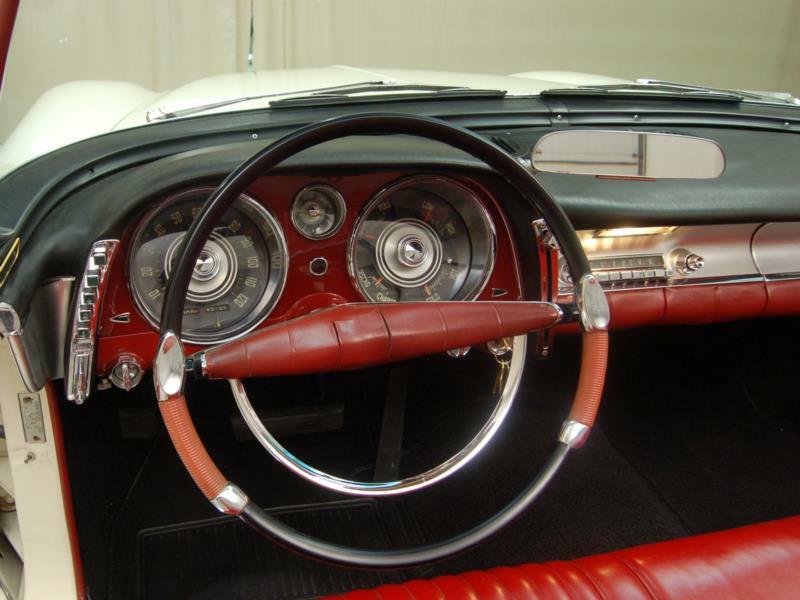 Chrysler’s own power steering system and Airtemp air conditioning systems were standard and optional, respectively. 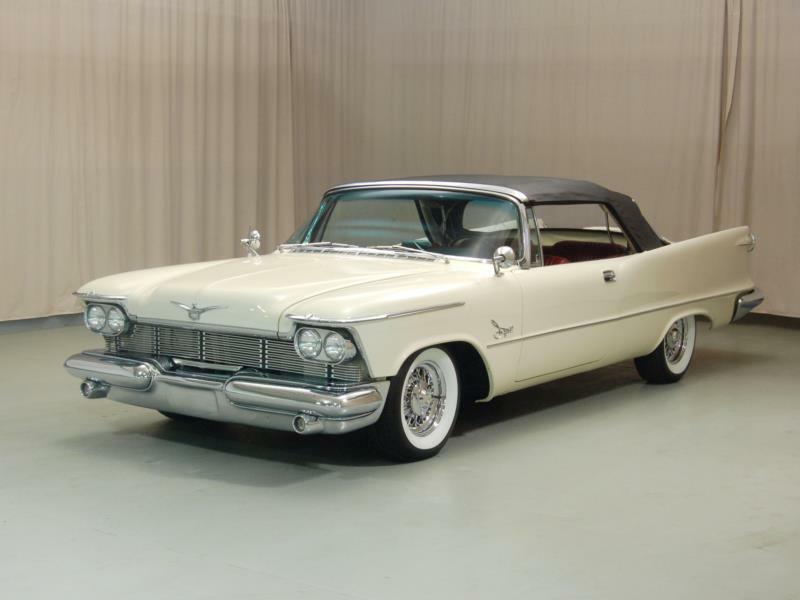 Finally, Chrysler’s Imperial line was ready to compete head to head against Cadillac. 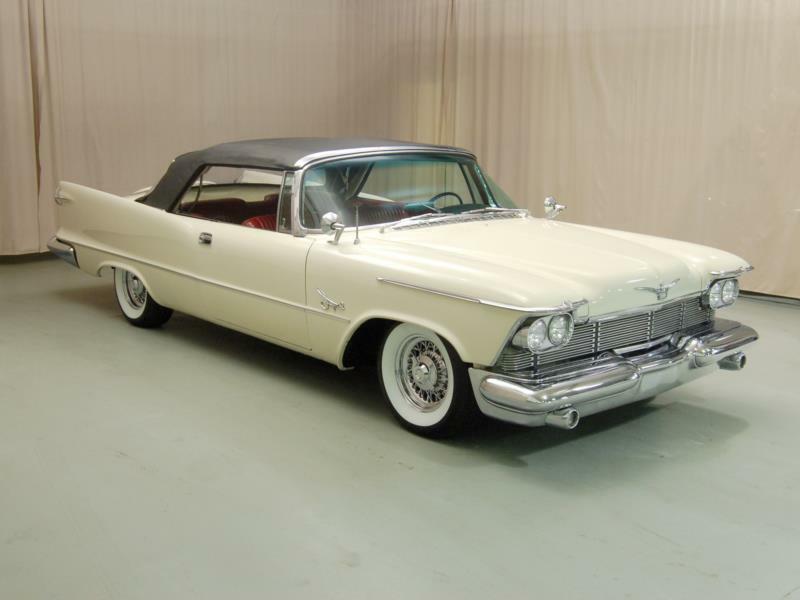 Like many other Chrysler products of 1957, the advanced styling gave the car a massive leg-up in the sales race, with Imperial selling 37,593 cars for 1957 versus 10,684 the year before – enough to bring the car to 15th place, up two rungs. 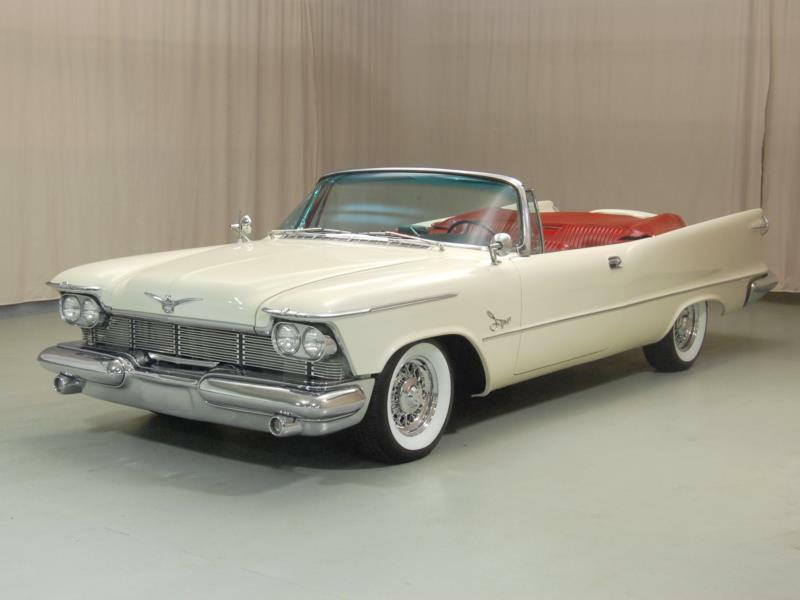 In fact, Imperial came close to out-selling Ford’s Lincoln line, a feat it repeated in 1958 – with Lincoln only selling 99 more units than Imperial. 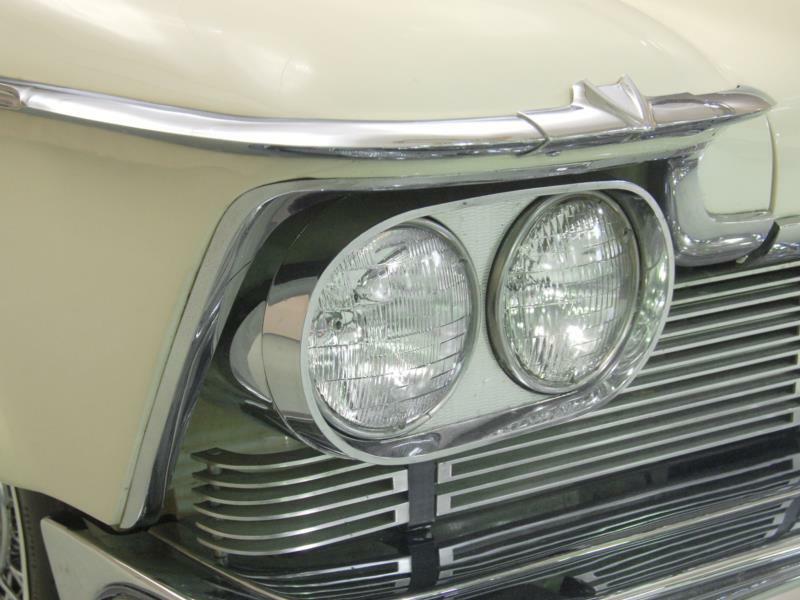 For 1958, the quad headlamps were standard, the front bumper was massive though simplified and the grille was redone for a less heavy look. 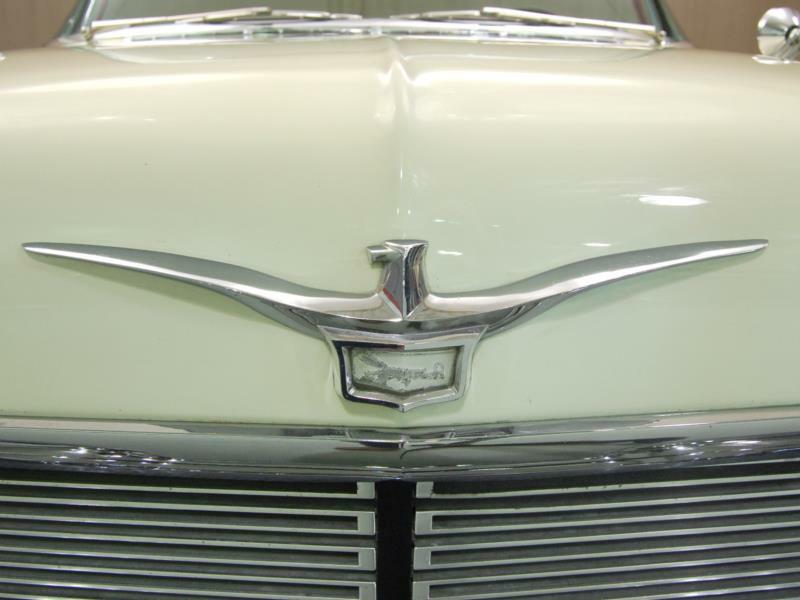 The 1959 cars had the requisite new grille typical of model-year changes in this era, and the five vertical spears intersected with massive horizontal wedge of chrome gave it a unique look. 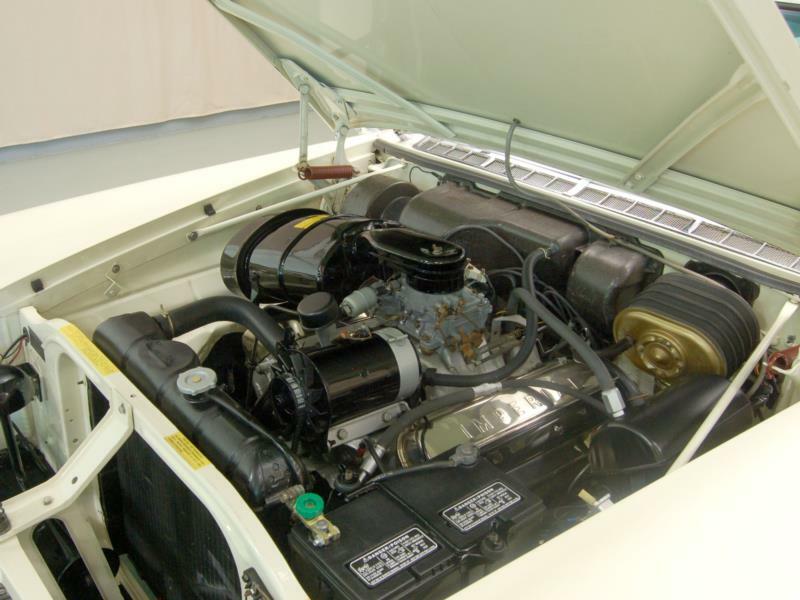 Under the hood, the famous, heavy and expensive to build mass-produced Hemi was still standard on the middle-line Crown Imperial, with Custom and top-end LeBaron cars having an all-new big-block 413 cubic inch “Wedge” V-8 of 350 hp. 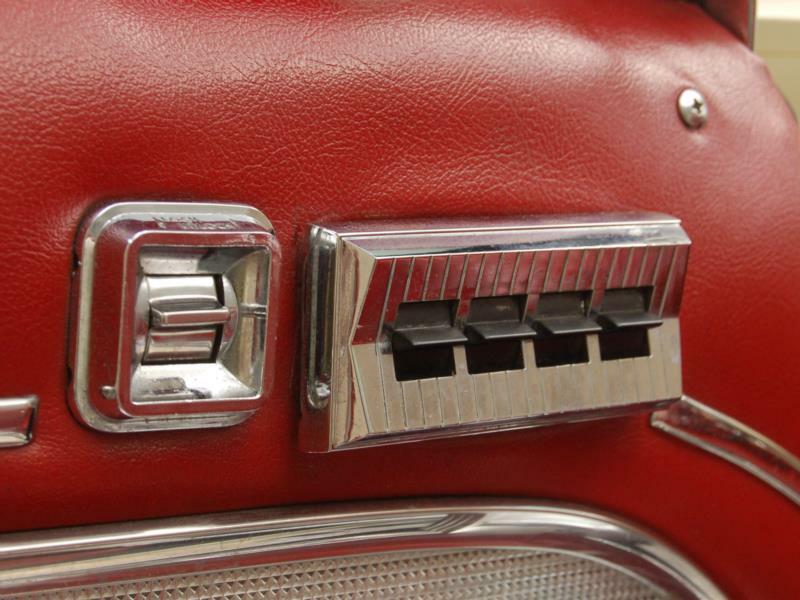 It was the last hurrah for the early Hemi. 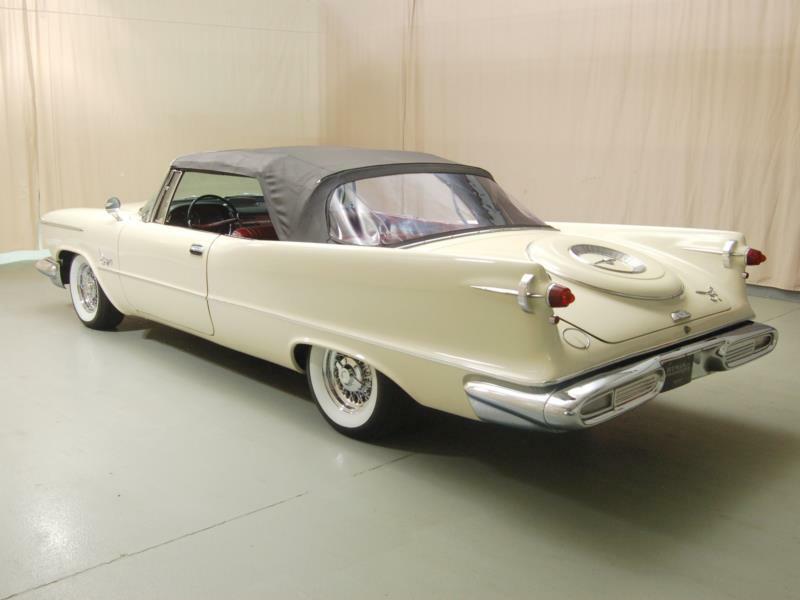 Body styles in all years included six-window four-door sedans, two-door convertibles, two-door hardtops and four-door hardtops as well as exceptionally rare and costly ($15,075) Ghia limousines that were hand-built in Italy (just 74 built in three years). 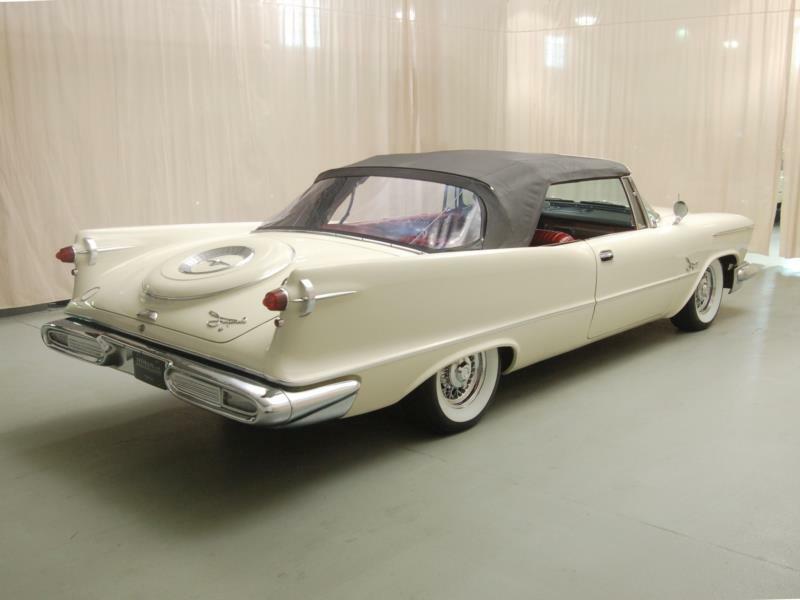 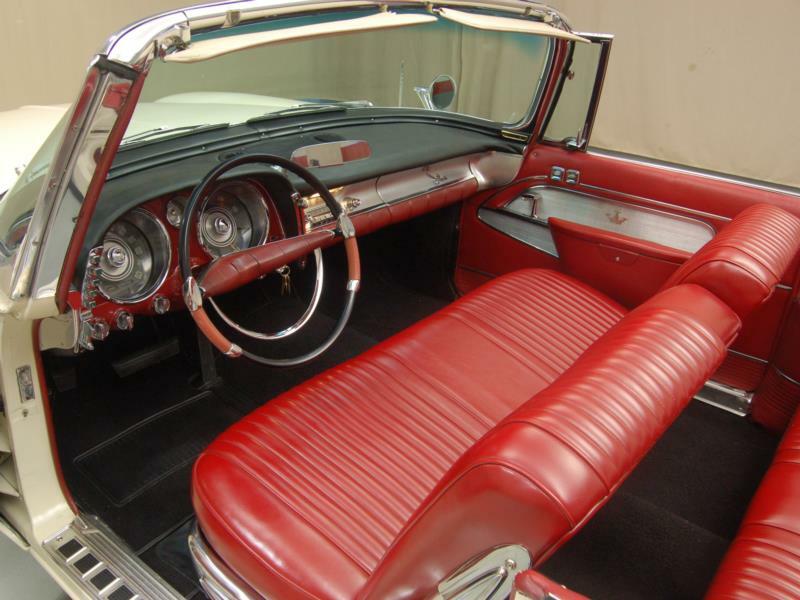 Base price for the lowest cost 1957 Imperial was $4,736, with the Crown convertible base price of $5,598.